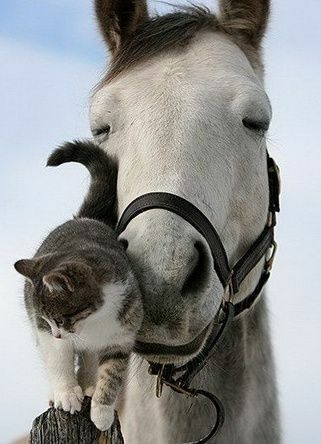 I really like your picture of the horse and cat! today is a beautiful day. Thanks for letting me come and visit. Yup, can't look at that photo without smiling - you've given us a simple gift today to lift our spirits. Thanks for sharing your words, thoughts, and things that make you smile. Thanks for being real and sharing your thoughts! You're right - a kind word or comment can mean so much! I hope you have a pleasant weekend, and I'm going to visit Blue Monday! Thanks for visiting my blog. So fun to read your post. My blog makes me happy too! I've not heard of Blue Monday before. I'll have to check out that linkup.